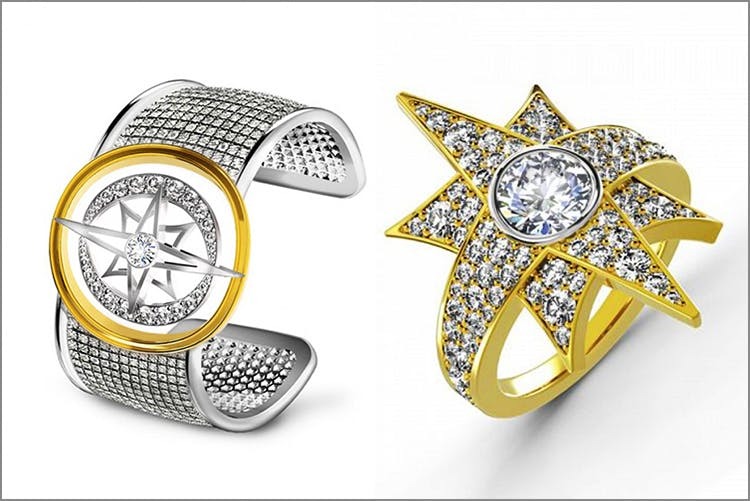 Taking his two-year long runway association with Forevermark a step further, designer Bibhu Mohapatra has launched his first ever jewellery collection, naming it Artemis. The idea to start this line, Artemis, came from Mohapatra’s mother; “My mother had this jewellery box filled with jewels that were passed down through generations, and also pictures of her wearing them at her wedding. It wasn’t just fancy jewellery, but they told a story about the relationship shared between generations. This is exactly what I wanted to recognise when creating the pieces for my own collection,” he has said. The inspiration behind Artemis comes from the ancient Vedic scriptures, in which the alignment of the sun, moon, and stars play a significant part in our lives and relationships—which, we feel, translates quite well into the designs of the earrings, rings, bracelets, pendants, bracelets, and brooches. If you’re going diamond jewellery shopping anytime soon, you should definitely check these out. Check out the Artemis collection here. Follow Bibhu Mohapatra on Facebook here.